I have to admit, I definitely got caught up in wedding fever when I was planning my wedding. Luckily, we were able to keep our expenses low (you can read all about our budget here! ), so why was I so obsessed with a bunch of fancy extras? It’s these extras where everyone, whether you’re planning a big, go-all-out wedding or small, family-only affair, can save money on for their wedding. 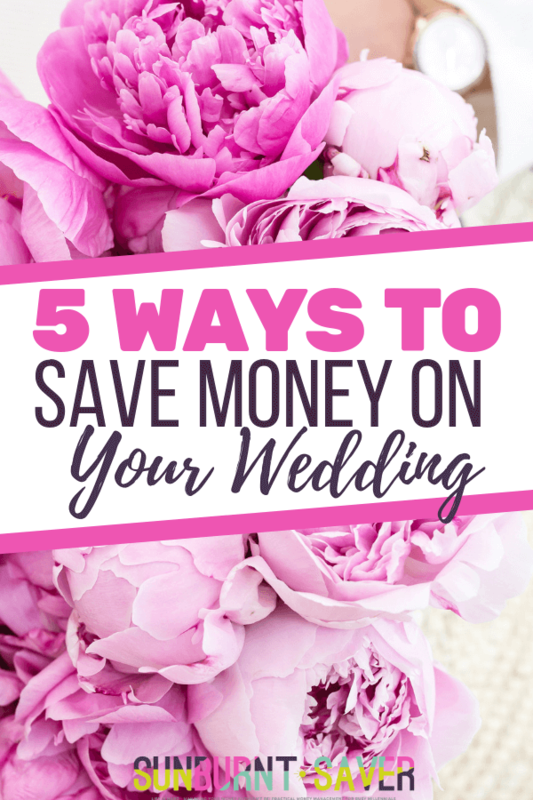 If you’re planning a wedding and looking for ways to save money without looking cheap, here are a few frugal ways to plan the perfect affordable wedding. Seriously, how many people enjoyed and/or kept the favors they received at other peoples weddings? 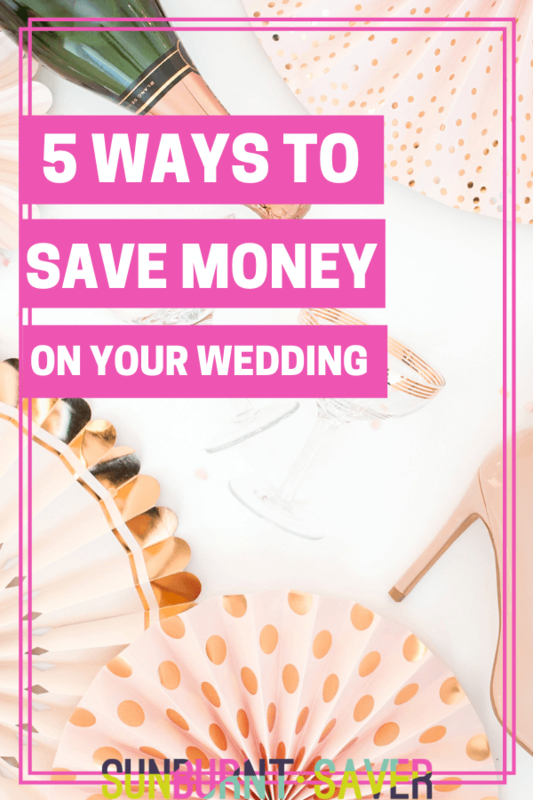 And before you think I’m cheap, I scoured TheKnot.coms forums, and pretty much the overwhelming conclusion is to save money by not doing wedding favors. However, definitely don’t do koozies or coasters for your wedding favors. People seem to really hate those! I know, I know, using electronic invitations seems so casual, not really fitting a wedding. However, think about your guests (and your timeframe). Do most people live many states (or countries) away from you? Do you even have everyones address? Sending an electronic invite not only saves you money, but it will also help you track your RSVPs as people respond. If your friend and her boyfriend want the fish and chicken options, they can easily click that on their electronic invitation, which can then be downloaded to an easy-to-view Excel tracking sheet. Still need to send out paper invitations for those that don’t have (or cant figure out) a computer? No problem! Paperless Post is a great resource that combines your electronic invitations with matching paper invites. This Save the Date from Paperless Post can be a paper invite as well as an electronic announcement. Best of all, if you’re doing some electronic invites and some paper, you can save money by only ordering, for example, 25 invites out of the 50 you’re planning to send, since half will be sent electronically. Consider having your reception at your favorite restaurant. Restaurants don’t typically charge more for the day, whereas hotels and other venues will charge you more for a Saturday wedding. Tables, chairs, silverware are included too, plus you’ll save on catering delivery fees. Some restaurants may ask you to provide your own linens, or charge you a cake-cutting fee, so ask these questions ahead of time to make sure you’re not surprised with a $250 extra fee. One thing to keep in mind about having your reception at a restaurant is you probably will have to buy alcohol from the restaurant instead of buying your own, so keep that in mind. Instead of visiting Davids Bridal or (insert your city’s bridal store here), consider going to bigger chains, like J. Crew, Ann Taylor, ModCloth or even Anthropologies wedding side, BHLDN. You can even check out the prom section of stores like Dillards or Macys, although success in these sections depends on your body type. Buying a wedding dress from a non-traditional location can save you money, but keep in mind you may still need to make alterations to get the perfect fit. In addition, Ive noticed some dresses can be particularly see-through and may need a slip to make them wedding-appropriate. If you run into the same issues, consider having your dress custom made. Yes, it sounds expensive, but a custom made dress can actually save you money because you wont need expensive alterations (since the dress, of course, is made to fit you perfectly). You can also pick the exact fabric and details you want, which means you can pick a luxe fabric and keep details to a minimum to save money (or pick expensive, delicate details and go with a less expensive fabric). Wedding planning can be a lot of fun, but it’s easy to get overwhelmed and think you need everything to have the perfect wedding. You don’t have to buy into this hype! 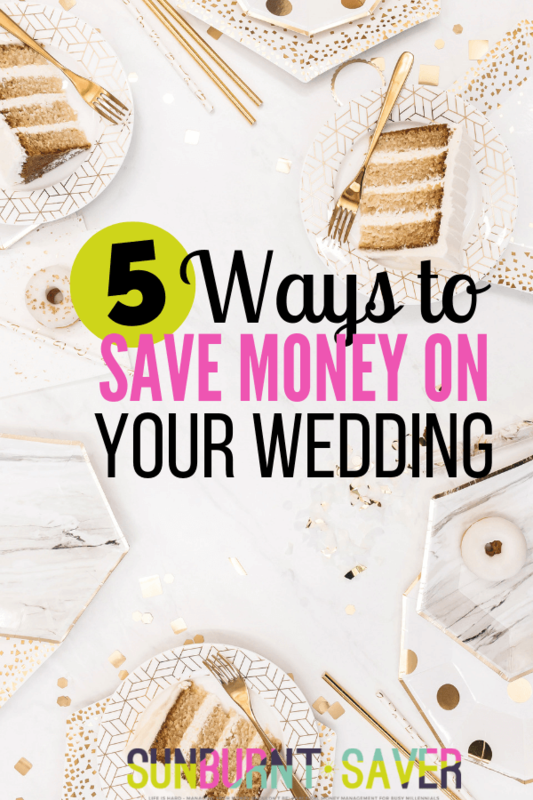 Some things are needed for the perfect wedding (you, your future spouse), but you don’t have to buy the most expensive favors or the It Vera Wang Wedding Dress (unless thats what you want to splurge on). If you’re not set on having certain wedding invitations or a particular wedding dress, consider some of these tips to plan an affordable wedding, so you can save up for something you want/need (down payment on a house, fancy honeymoon, or a better photographer for the wedding). What are your best tips for saving money on weddings? Have you been to a wedding where you absolutely loved the wedding favors? Am I totally wrong about coasters – do people actually like them? I love all of these tips!! The extras are seriously not worth it. One of my coworkers spent days agonizing over the centerpieces and favors. I wanted to tell her no one’s going to care/remember after it’s over, but her heart was set on picking out the perfect things. It’s not worth the money OR the stress. My mom is really obsessed about our centerpieces too, and I’m just like… does anyone even care about centerpieces? Unfortunately, I think some people (those with the “design eye”) do notice, which is why my Mom cares, but I’m just like… okay. If you can find affordable centerpieces, you can be in charge of them. But no thousand-dollar-per-table centerpieces! So not worth it! My wife and I always joke that if we had to do it all over again we would just elope or do a destination wedding. The savings would be huge! I actually love BHLDN, but David’s Bridal was less expensive for the bride. I’m in 100% agreement on the favors and the simple bar–and with Erin about centerpieces. Another way I saved for my bridesmaids was by getting their dresses at Macy’s, Kohls, and Piperlime. That’s such an awesome idea! It’s a great gift too, as long as the beer tastes good 🙂 Thanks for sharing, Sarah! Great tips! I completely agree about finding a less traditional wedding dress. I have seen some very unique and affordable dresses online. One of my favorite sites to buy dresses is lulus.com because they have such a large variety!